No one likes experiencing a rash. Skin rashes can come out of just about anywhere, striking at any time, and almost any place on the body. You probably already know that scratching at a rash is bad, as getting the rash bacteria under your fingernails is just likely to make the rash spread, if the actual scratching doesn’t cause physical harm itself. Most people are tempted to immediately turn to anti-itch creams to help alleviate the discomfort of rashes, but before you start looking for treatment options it is important to make sure you know exactly what type of rash you are dealing with. If you aren’t able to identify a rash, then make an appointment with your dermatologist and bring the rash to the attention of a professional. This is especially important to do if the rash doesn’t go away or continues to come back for several days. Here is a quick list of the five most common types of skin rashes, and what you need to know about dealing with this type of rash. Atopic dermatitis: Also known as eczema, this is a common recurring rash that causes skin to become red and itchy. This type of rash most commonly affects the hands, feet, ankles, neck, and upper body. 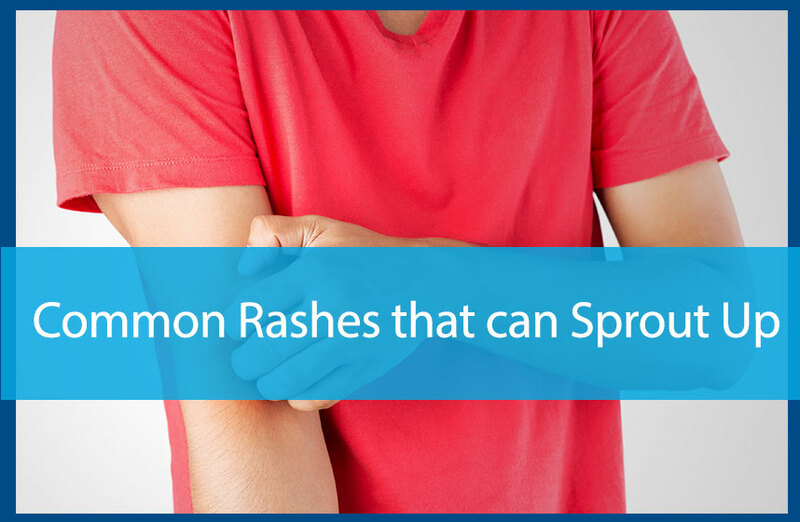 This rash will often develop as a result of contact with scratchy clothing or scented soaps or detergents. Using products designed for sensitive skin can often prevent bouts of eczema from developing. Pityriasis Rosea: Also known as Christmas Tree rash, this is a common form of rash that usually develops on the back, chest, or abdomen. The rash develops as a small patch at first, and then will spread, often causing a pattern that resembles the outline of a Christmas tree. The best treatment for this type of rash is medicated lotion. Contact dermatitis: This is a form of dermatitis that is caused by direct contact with an irritant, sometimes soap or laundry detergent, and other times plants or chemicals. The rash itself is dry and itchy, and will usually go away when contact with the irritant is diminished. Poison ivy is one of the most common irritants known to cause contact dermatitis. Drug rash: This form of rash often develops across large patches of the body, and is a result of using a medication that is causing an allergic reaction. The rash will often begin with red spots and will continue to grow and persist as long as the medication is used. Miliaria: More commonly known as heat rash, this form of rash develops when sweat is obstructed from leaving the body. Wearing moisture wicking materials when working out or in the sun for extended periods of time is the most helpful way to prevent heat rash. Heat rash can usually be resolved with the use of a cold compress. If you don’t know what is causing your rash, don’t attempt to treat it until you consult with a professional. For help understanding rashes or to schedule a consultation, contact us at 770-251-5111.